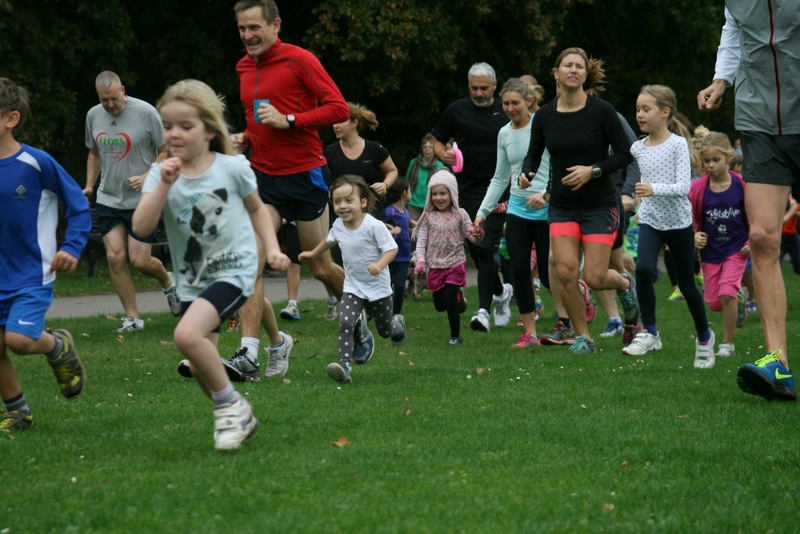 This was the first junior parkrun we visited that did not have a parent parkrun in the same park. 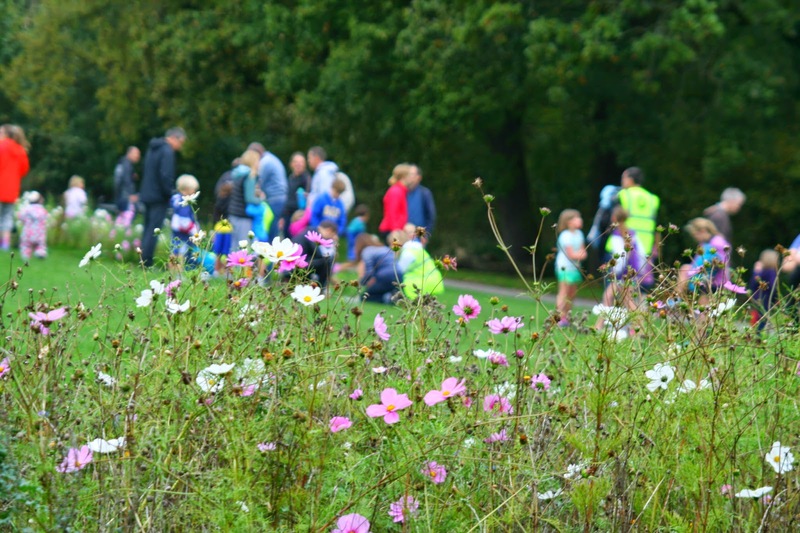 There is of course a full 5k Wimbledon parkrun but that is held where the Wombles live on Wimbledon Common. 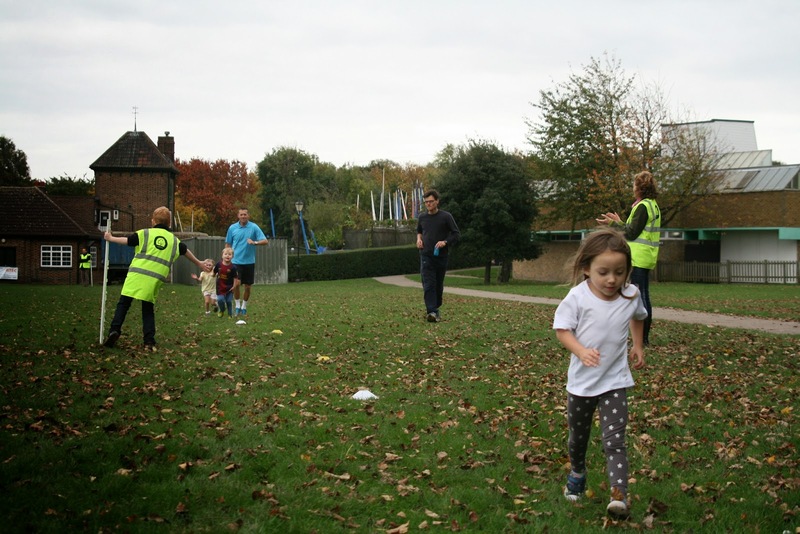 However, just to the east, in the park described by Merton Council as ‘South London’s best kept secret’ you will find Wimbledon Park, the home of Wimbledon Park Junior parkrun. Before visiting a new parkrun venue I always like to have a little look at the history and this one does not disappoint. A product of the last ice age, the land and the large ornamental lake that now forms Wimbledon Park was previously part of a larger open space in which Wimbledon House once stood. During the 18th century it was landscaped by ‘England’s greatest gardener’ landscape architect Capability Brown who designed over 170 parks in his lifetime. Over the years, the house and its surrounding land changed hands and gradually parts were sold off and used for other purposes. Just before the First World War, the Borough of Wimbledon bought the land including the adjacent golf course which was later sold to the All England Lawn Tennis and Croquet Club by Merton Council leaving just the park and its ornamental lake in its ownership. The All England Lawn Tennis and Croquet Club is of course best known for the annual Wimbledon tennis tournament, and this does unfortunately have a knock-on effect to the junior parkrun; in 2014 the junior run was cancelled for three consecutive weeks in order to facilitate the tennis (I think the park is used as a camp site where fans can pitch a tent and be just across the road from the action). 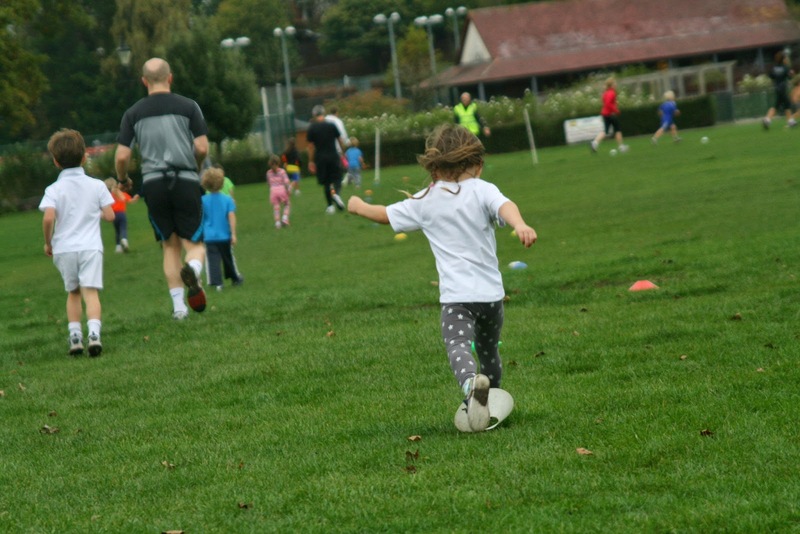 We are now left with 27 hectares (67 acres) of green space in the middle of residential Wimbledon and what better way to use it on a Sunday morning than for a junior parkrun. The eastern edge of the park borders the district underground line, which is actually above ground at this point and every couple of minutes a train clatters past. 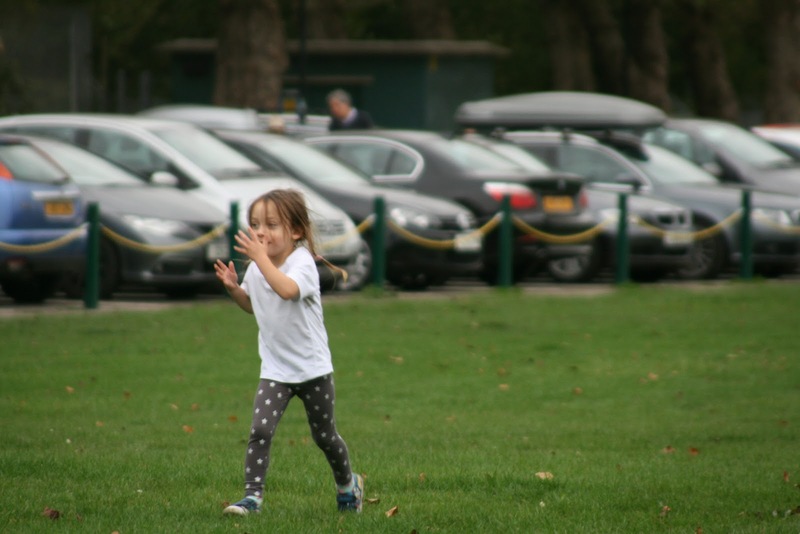 There are two tube stations that serve the park – Wimbledon Park is the obvious one to head for, but Southfields tube station is just as close to the start-finish area. 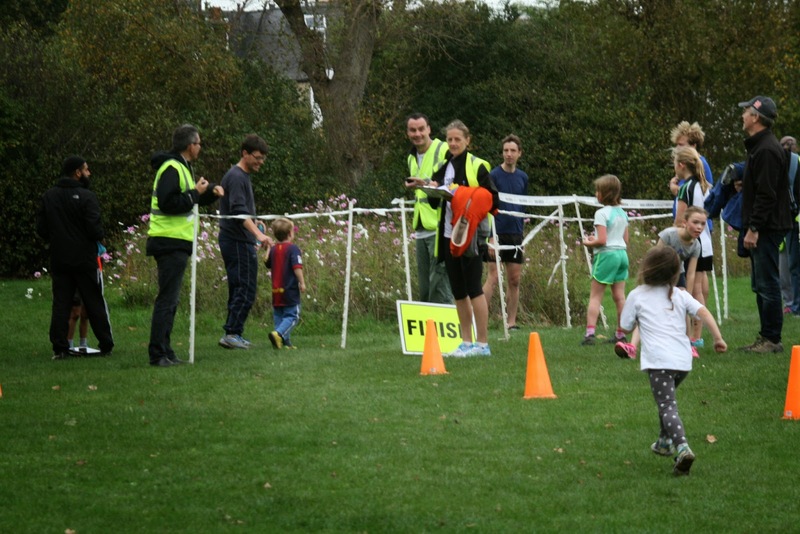 For the start/finish of the run, you need to head for the north east corner of the park where you’ll find lots of friendly folk dressed in hi-vis vests. 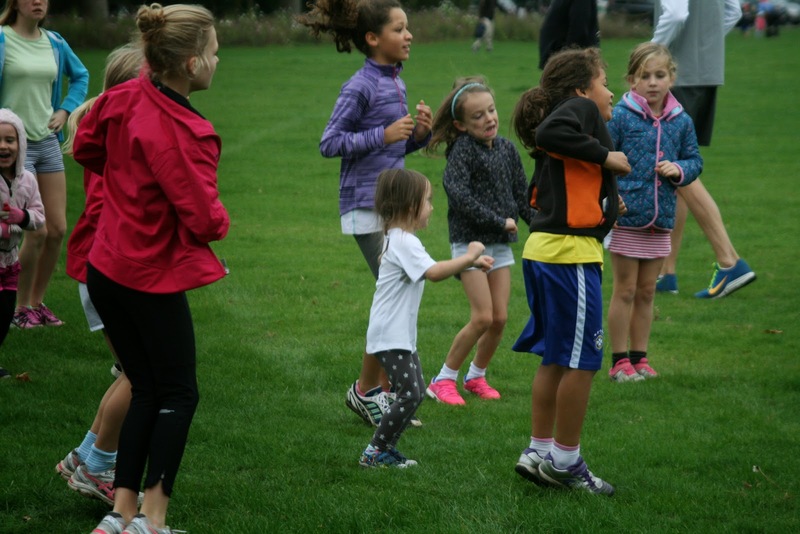 This venue has a 9.30am start time (always double check in advance before going to a junior parkrun as start times and frequency of events vary between venues) and attracts around 100 official participants every week and when you add in the number of accompanying parents, this figure rises by about half again. The park itself is a popular place for dog walkers so it's worth bearing that in mind before visiting. The course is 100% grass underfoot and is almost completely flat. It is preceded by a warm up session (which I missed while having a freedom run) and a briefing, once they are complete it’s down to business with a ready, GO! ... So what they have done is made the 1 kilometre loop of the park into an out-and-back with the halfway point being next to the start-finish area. This way the children all run out in one direction and only approach the finish line once they have completed the full course. Genius! 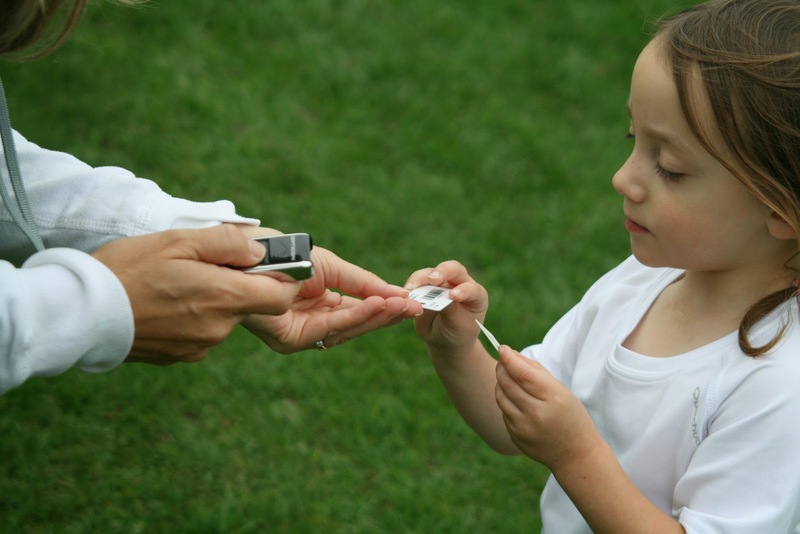 Any new junior venues should definitely consider this approach. Other features of the park are the tennis courts (of course), bowling green, mini golf, a playground and a watersports centre based over at the lake (it could hardly be anywhere else). There is also a cafe and some toilets, but these are on the south side of the park near the tennis courts so if you think you might need to visit the toilets before the run, plan in a little extra time. Matilda's run went very well. She started off mid-pack, but being so small she slowly got overtaken by almost everyone else. Even so, she was not discouraged and plodded on at her favoured pace. I stayed in the middle of the park and wandered from point to point taking photos. Just after the turnaround point she asked me if I wanted to run with her. I happily obliged and we ran the second half together. 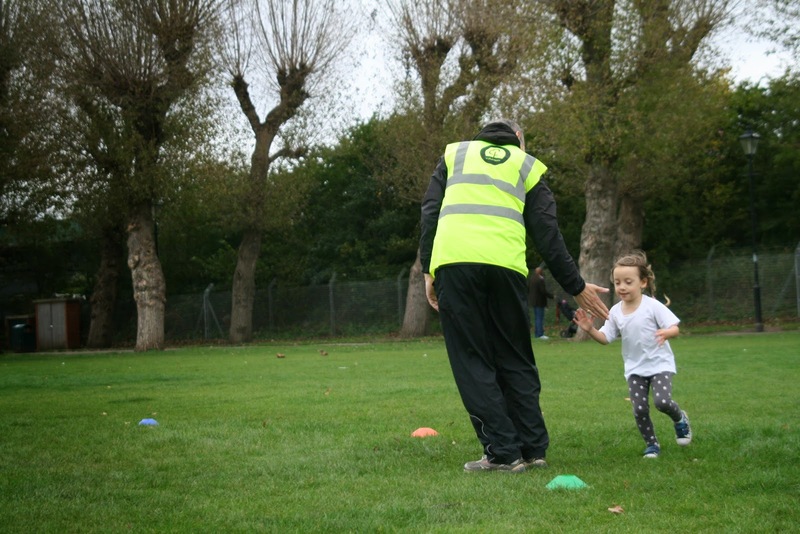 The marshals were dishing out hi-fives and Matilda loved it. She had a short walking break towards the end, but as the finish line came into view, she found a little more energy and put in a great effort to cross the line. The results were online a few hours later and Matilda ran a new 2 kilometre personal best, but not by a little. She totally smashed her previous best by a whopping 2 minutes and 28 seconds! Her 2 kilometre personal best now stands at 17.16, which works out at a pace of 8.38 per kilometre or 13.54 per mile. She of course doesn't understand what all the fuss is about but I'm very proud. 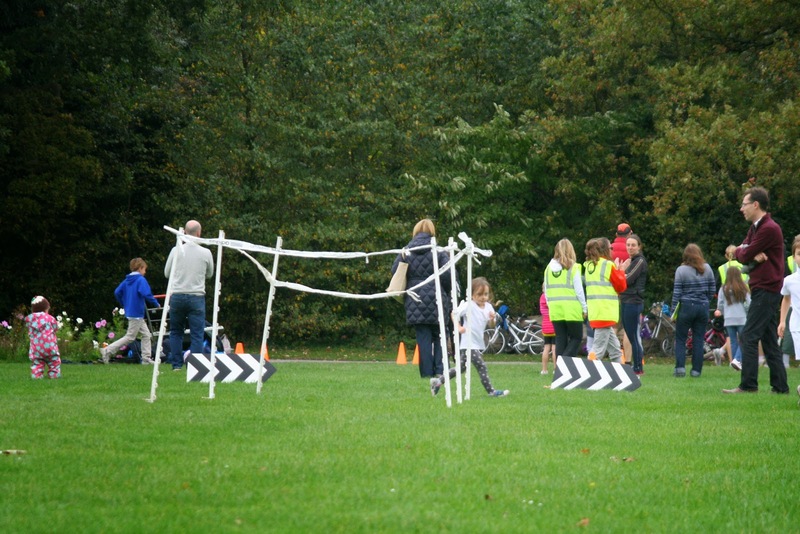 Note on freedom running: This is a difficult route to follow without the full course being marked out as it follows a route that is marked out using cones and poles on an open grass area.